Picked up my *MINT* condition Excalibur 1000 that I bought off craigslist yesterday. 800 bucks. Got to take it to the beach today with a buddy who also has a excal 1000. Pretty much a bust for me but he found 3 rings tied together with in 20 minutes. I'll get better. VERY different than my Garrett AT. On the wet sand it's not so confusing understanding pinpoint null then switching to discrim to target it. In the water? Not so easy. Not yet anyways. Easy to get distracted by current changes and waves. In 3 hrs I found a gold plated earring, 4 quarters, a dime and a few pennies. I can't imagine how hard it is to swing this thing w/o a chest or hip mount. I bought a chest mount. Up next is a Plugger carbon fiber shaft and a remote pin pointer. I can tell this machine is already a beast. I hit a penny at over 2 ft.
lost items recovery, bocaratonmatt78 and A2coins like this. I hope it was just the wording that was confused during the post and not the actual modes during the hunt. It nulls in disc and all metal pp is 1 tone. I'm sure it was just a posting era otherwise the area would need to be re hunted again. lost items recovery and A2coins like this. To add to the Minelab Excalibur talk, I've had mine for 3 yrs now and have no problems (although I had to add an extension for better balance and a knob protector). One of the best metal detectors given discussion with many MDers on the beach. It is a BEACH and WATER machine. 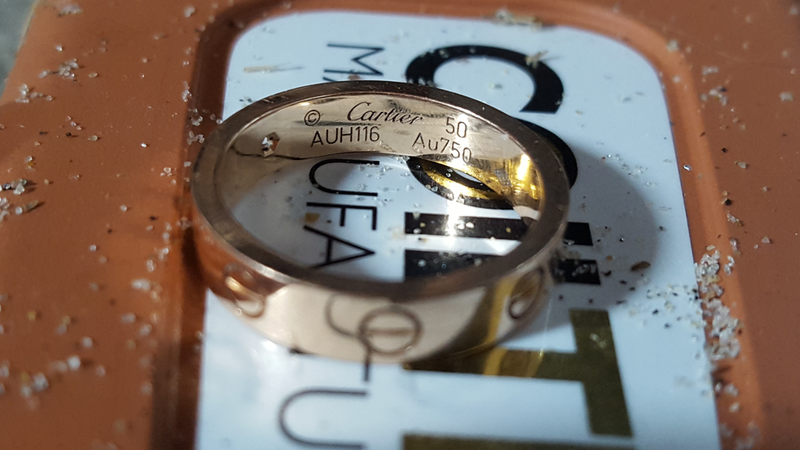 Given the multiple frequencies and up to 25khz, it can easily detect small gold jewelry and platinum rings; I know because I just found several on my recent venture to Florida. If you look at metal detectors that are designed for gold, you'll notice that there frequencies run in the 15khz - 18khz range. Most single VLF machines run from about 2.5khz - 7khz or so. Simply put, many low VLF machines are simply blind to gold and must rely on detecting other metals in the jewelry, if possible. Somewhere else on Treasure Net someone noted that their home made metal detector could run at 7khz and 14khz. He noted that his machine was blind to gold when operating at 7khz and could easily detect the gold when running at 14khz. Most single VLF machines out there are coin detectors and not gold detectors. To make matters worse, machines with a lot of processing (e.g., target identification) and imaging require more processing time and a stronger target signal - translation: loss of depth. The Excalibur when running in All metals mode is a deep detecting machine and I find good targets in the 10 - 13" range that are missed by many other metal detectors. lost items recovery, Pennypacker, captbo and 3 others like this. It will take you a while to understand the subtle sound differences between good and bad targets - prob 40hrs of detecting time or so. Use All metal to detect a target and switch to Discrimination to determine if it is ferrous/nonferrous and what type of target (once you get good at identifying targets by sound). If you hear a target in All Metals and don't hear anything when you switch to Discrimination - the target is deep. Scrape 2-3" of sand away and try again. Dig all targets that are not ferrous. You can also use the All Metals mode to trace out your targets. I found some really nice hand tools on the beach, when things were going slow, and I decided to dig some larger ferrous targets. Use Autosensitivity, the machine will do a great job of being quiet when traveling from dry to wet sand to water and back. Set Discrimination on 1 - don't discriminate. Set your threshold to the lowest that you can hear (or even slightly below). Learn to discriminate the very low, subtle changing sounds that signal deep targets. The Minelab Excalibur is a water machine so take it in the surf, but be sure to rinse it with clean water after each use. It is a great discriminating machine since it provides 17 frequencies that allow fine discrimination of targets or to detect targets that are blind to other VLF machines. lost items recovery, captbo, bocaratonmatt78 and 1 others like this. Being a ex owner of a Dual field and a current owner of a excalibur 1000 I'll give my opinion to help ease your mind on weather you made the right choice or not. First off I feel you made a wise choice and spared yourself a lot of aggravation of the dual fields coil flipping up in the ruff surf and from digging the constant supply of iron targets the beach has to offer a beach hunter. There's nothing like not breaking your back anymore digging a target in a constantly collapsing hole in the wet sand just to find that you've just exhausted yourself to recover a iron target. Your choice rewards are your machine telling you "leave this one for the salty sea!". LawrencetheMDer and A2coins like this. Thanks. I'm going to Clearwater next week. Going to start with your settings. Very informative video about the sounds of different targets with the Excal II. Watched AND listened to the video over and over again and now ready for the beach! Every time the excal nulls rotate 90° and re-sweep, if there is gold by the iron it will show it, that us when it is important to re-sweep nulls from different direction. DeepseekerADS, cudamark, captbo and 3 others like this. You can't beat an Excalibur, just dig everything. I bought the TRex sand scoop and made my digging easy. I found a 18K Tiffany ring my first two weeks in South Carolina. DeepseekerADS, cudamark, RVRoamer66 and 4 others like this. RVRoamer66, AARC, bigtimedeal and 1 others like this. Just ordered an Excal from Kellyco today (Thanks Scott!) so looking forward to trying these settings and recommendations out.